Does this look somewhat familiar? It should. 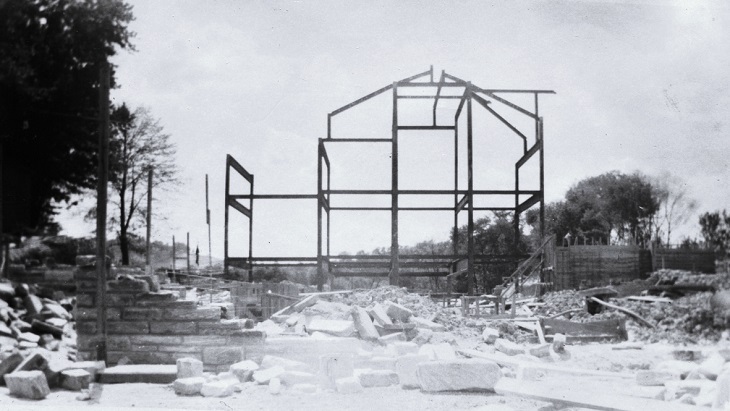 It's a photo of the construction of the Bridgeport United Methodist Church that was dedicated in October of 1953, which likely puts this photo around 1950, give or take a year or two. The church has served the community for decades and was built through the philanthropy of Bridgeport's Michael Benedum. Here's one a little bit trickier. 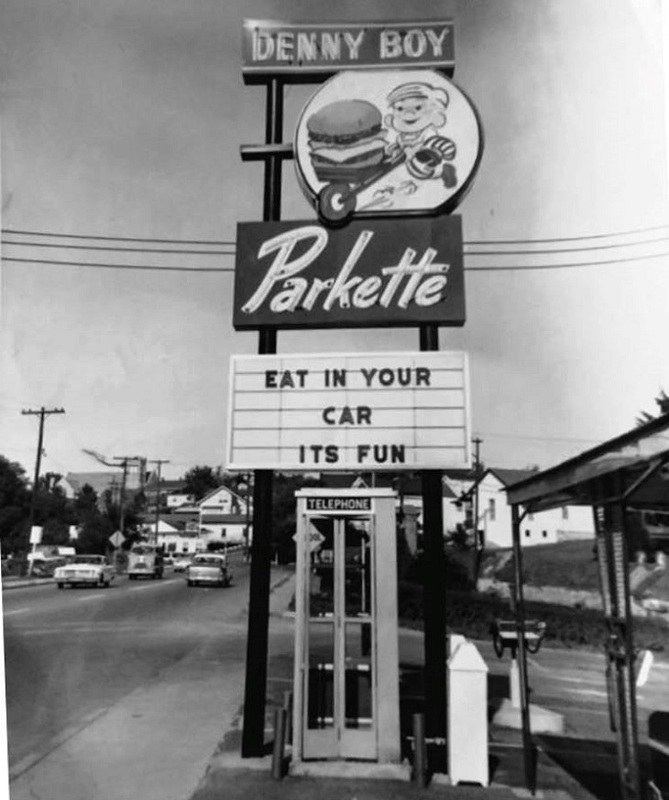 This is the Marion County version of the Parkette that is no longer there - along with the telephone booth. The location is not certain. Anyone with information regarding this business is asked to place in the comment section below.